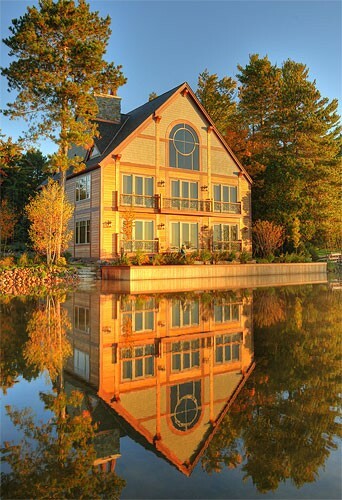 House On The Lake is in Minocqua, WI. 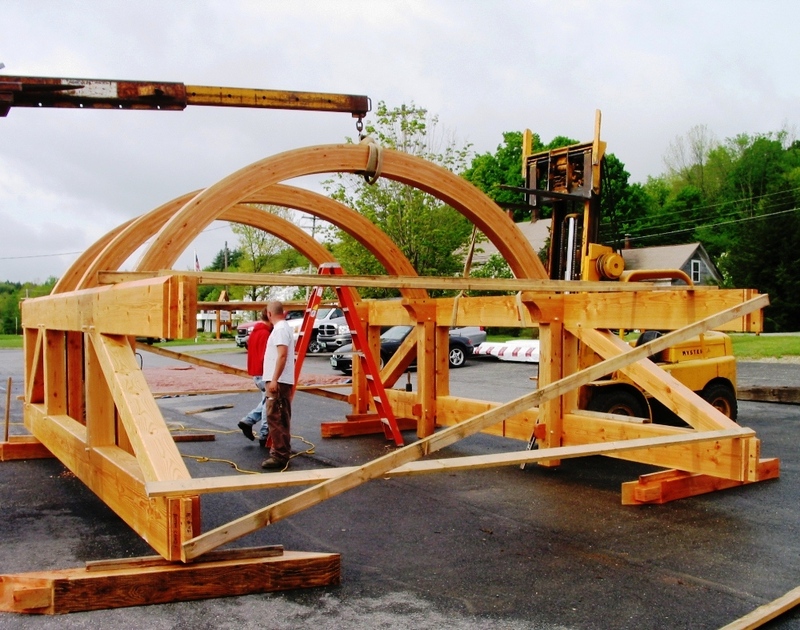 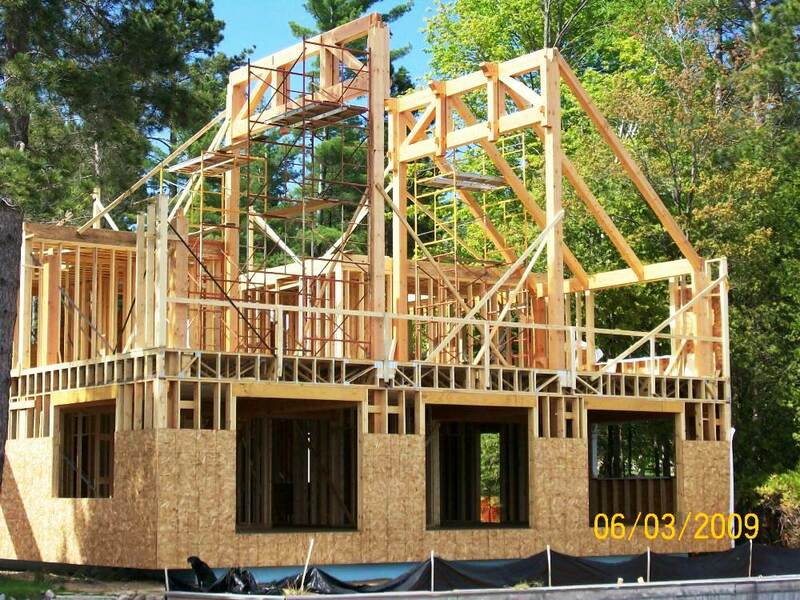 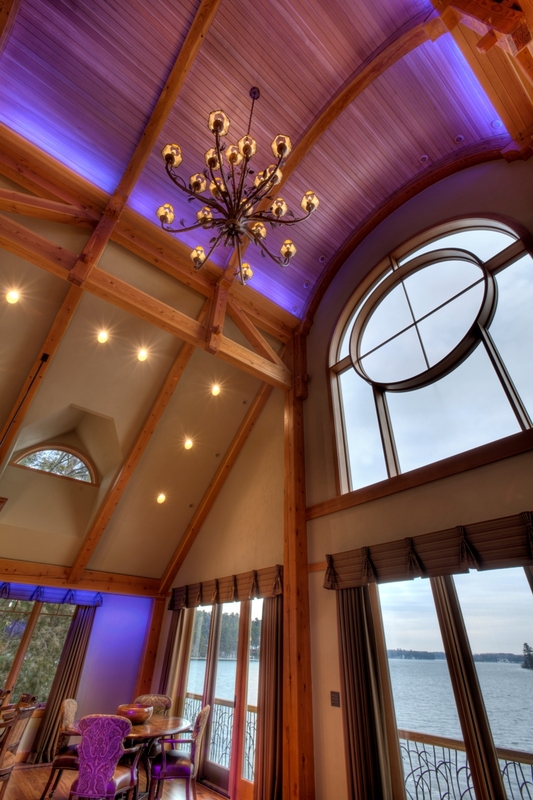 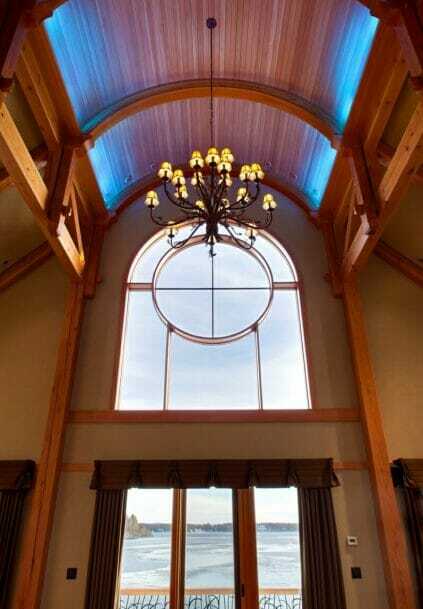 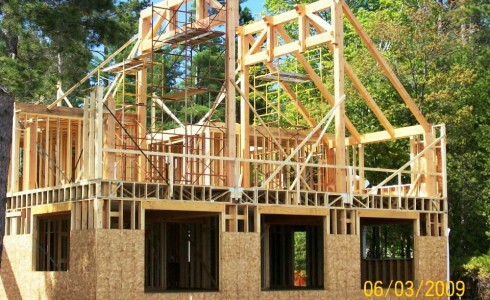 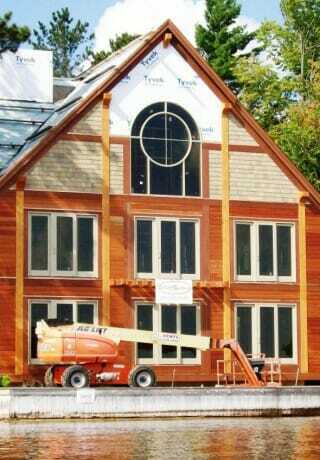 Vermont Timber Works provided a timber frame with curved, glue-laminated beams for this residential client. 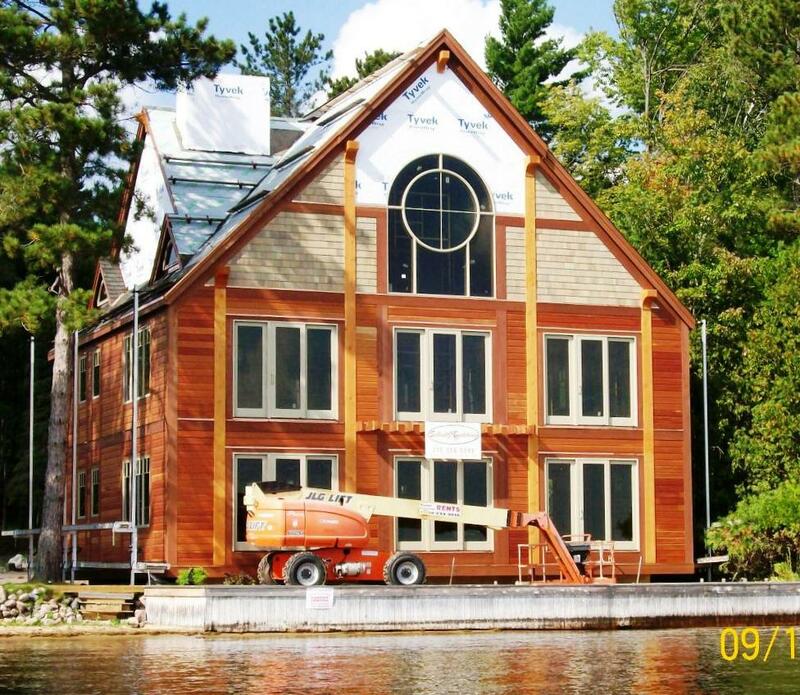 We worked with Schultz Building and the architectural firm Ghidorzi on this project. 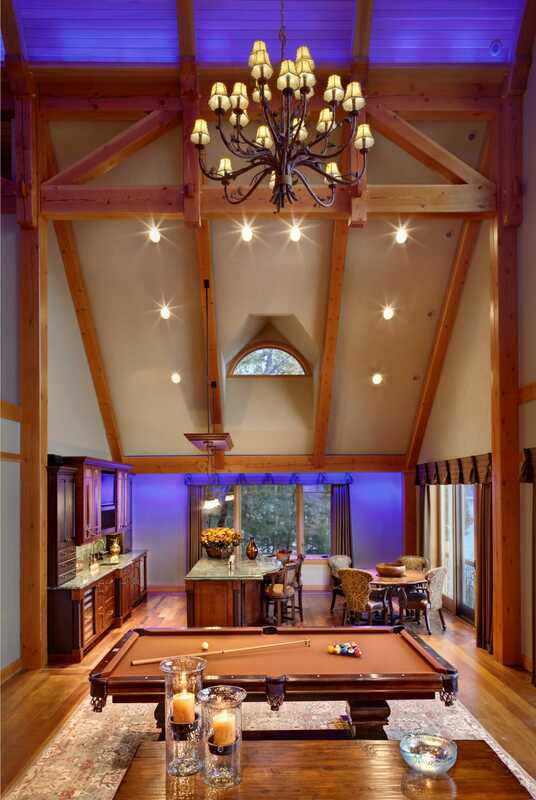 The glulam timber for the home was supplied by Alamco, Sara Haumschild of Inspired by Design was the interior designer, and David Bader photographed the home. 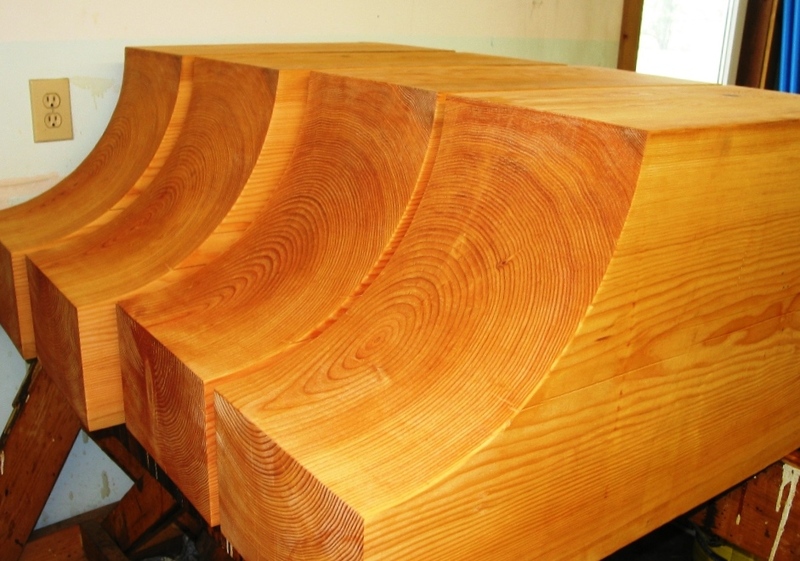 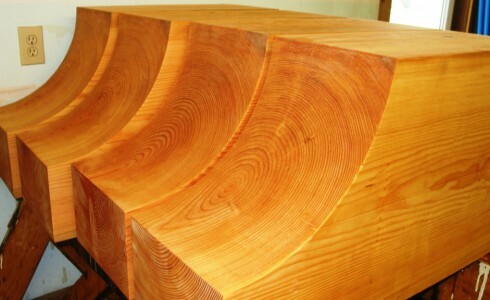 The frame features a mix of traditional douglas fir beams and modern douglas fir glue laminated timber. 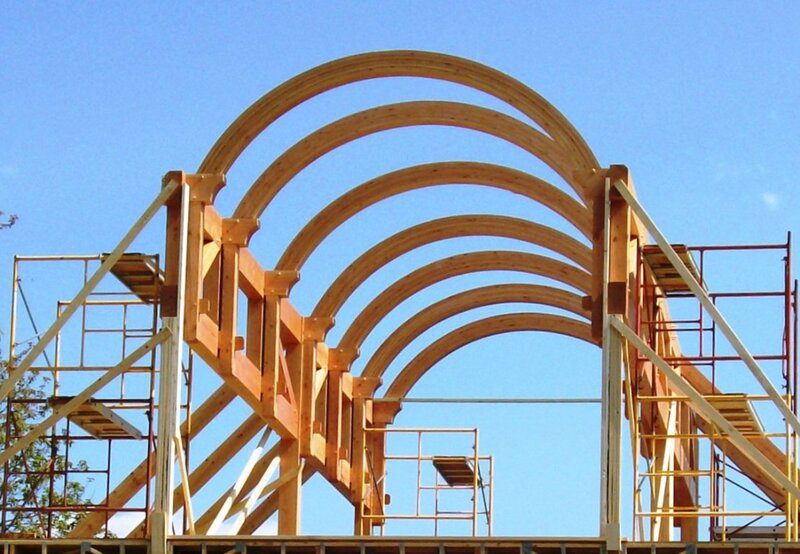 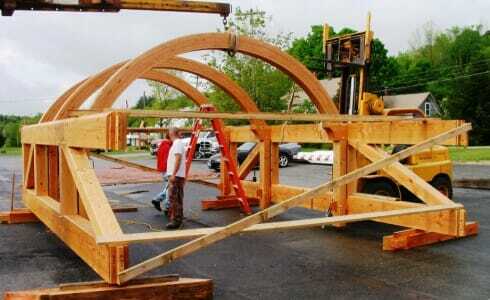 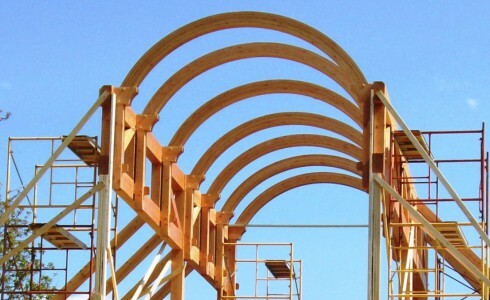 The glulam timbers were used for the graceful arches that frame the window.